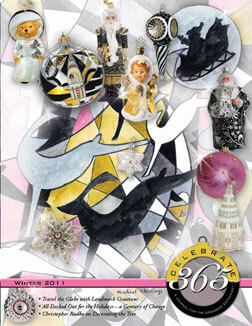 Kathie Lee Gifford mentions illustration & ornament designer Michael Storrings on a recent Today Show episode. Read all about Landmark Creations founder, Joellen Church, and designer Michael Storrings in the newest issue of Celebrate365. Michael has donated several pieces that will be auctioned for charity this month. Stay tuned for details!